One parent's decision to shame his daughter on social media drew mixed responses, Florida is struggling with major toxic algae blooms, the only operating spaceport in the world is crumbling, and eight children affected by Trump's "zero-tolerance" border policy are still waiting to be reunited with their families. Don't miss out on some of ABC News' best reporting from this week. A viral video posted by a father that forced his daughter to walk 5 miles to school in near-freezing temperatures has prompted questions about the use of social media as a way to humiliate and discipline children. 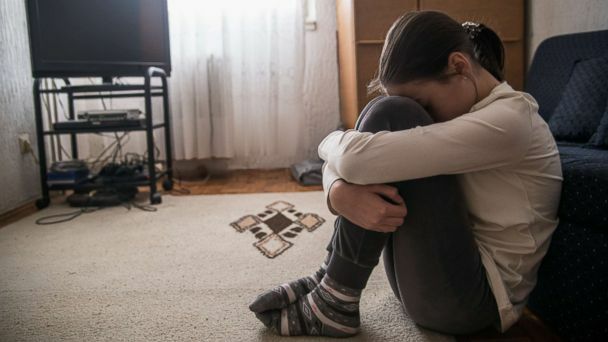 Some experts say that shame is not an "effective way to change behavior." Harmful algae blooms in Florida have been killing off fish, eels and dolphins. Scientists say that these blooms could be exacerbated by a warming and increasingly acidic ocean. Critics say that Gov. Rick Scott's loosening of environmental regulations are part of why algae blooms have been so bad. This week, a Soyuz rocket carrying three astronauts took off for the International Space Station. It launched from Baikonur, located in Khazakstan, which is currently the only place in the world for these types of space flights. The spaceport reflects Russia's complicated legacy of space flight. A town is in mourning for 13-year-old Hania Noelia Aguilar, who was kidnapped and murdered in Lumberton, North Carolina. Friends and family spoke at her funeral service on Saturday, which was held at her high school gymnasium. A suspect, Michael Ray McLellan, 34, has been arrested and charged with her murder. After former Attorney General Jeff Sessions' April decision to prosecute adults crossing America's southern border illegally, more than 2,600 children were separated from their families. President Trump eventually issued an executive order that put a stop to that practice. Now, eight children who are eligible to be reunited with their families are still waiting to see them.